Have you noticed a wet basement or crawl space? Excess moisture and musty odors around the house? Over time, moisture can build up in basements and crawl spaces that aren’t properly sealed. Not only can this create uncomfortable humidity and unpleasant odors in your home, but it can also present health and safety hazards. If you’ve noticed the warning signs of excess moisture in your basement or crawl space, it’s best to contact a professional before expensive damage is done to your property. There are many options for those looking to protect their home from water damage. Our crew at United Structural Systems of Kentucky has the experience and knowledge to recognize the issue and pinpoint the best solution. Basement waterproofing is an important step in protecting one of your largest investments for both obvious and perhaps surprising reasons. Protect Your Possessions: If your basement is unfinished, you probably use it for the storage of some valuable possessions and keepsakes. If it’s finished, you have likely invested thousands of dollars in flooring, furniture, drywall, and decor. Regardless, waterproofing your basement protect your possessions from floods and water damage. Prevent Structural Damage: When excess moisture collects, water can penetrate into the foundation and structure of your home. This can crack your foundation and rot wooden structural elements, leading to costly home and foundation repair. Provide a Healthier Environment: Mold and mildew thrive in moist environments. Not only is mold a pain to treat once it infests, but it can also make buying and selling a house difficult. Because mold allergies are resilient and life-threatening for some, waterproofing your basement can be an important step in protecting the health of your home. Reduce Utility Costs: Humidity causes your electricity bills to spike, as damp air takes more energy to cool and warm. Sealing your basement and crawl space from excess moisture can save up to hundreds of dollars a year on heating and cooling costs. When Should I Waterproof My Basement? The best time to waterproof your basement is before you begin to notice the signs of excess moisture. Being proactive can prevent harmful water damage from occurring to your home, as well as keep mold and mildew from growing and threatening your health. However, we understand that there are circumstances that can put a halt to preventative approaches. There’s no reason to worry. If you begin to notice any of the following signs of excess moisture in your home, you can call USS KY today to waterproof your basement or crawl space and repair any damage that might have been incurred. Water can cause damage in your basement, and the same goes for your crawl space. Because crawl spaces aren’t typically used in the same capacity as basements, they’re easy to neglect. However, they should be water-sealed for the same reasons and with the same care as your basement. Just like basement waterproofing, crawl space encapsulation ensures that your home is protected from costly water damage. In addition to the problems that unwanted water in your basement can cause, excess moisture in your crawl space can lead to infiltration and infestation of insects and pests. What Causes Basement Leaks and Flooding? If your basement sits below ground, your inadequately sealed windows might be one of the culprits leading to water getting into your basement. Additionally, improper drainage might lead to water accumulating in your window wells, causing it to seep through small seams. If there are cracks in your foundation walls or floor, this creates an easy opportunity for pressure to force excess moisture from surrounding soil to escape into your home. This can be particularly problematic in times of high rains. Often times, the main problem causing water damage to your home’s basement is improper drainage. If exterior drainage systems are pointing towards your home, or if your home is built at the bottom of a hill or sloped ground, rainwater inevitably is running towards your basement and collecting around your foundation. 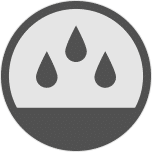 Hydrostatic pressure is what causes excess moisture from surrounding soil to force its way through any unsealed cracks, seams, and spaces in your home’s foundation. When too much water collects in the soil surrounding your home, the pressure formed can push water through even hairline cracks. If you have any concerns involving water damage and waterproofing do not hesitate to call United Structural Systems, Ltd., Inc. today. We are a third generation, family-owned business, dedicated to providing the best service to our clients since 1995. We have service areas in Cincinnati, Charleston, Lexington, and Cross Lanes! Our team cares not only about your home but about you and your concerns, too. Rely on the experienced staff at United Structural Systems Ltd., Inc. to provide you with an honest and accurate assessment for waterproofing your home! We will not settle for anything other than high-quality customer service. What type of services are you needing?